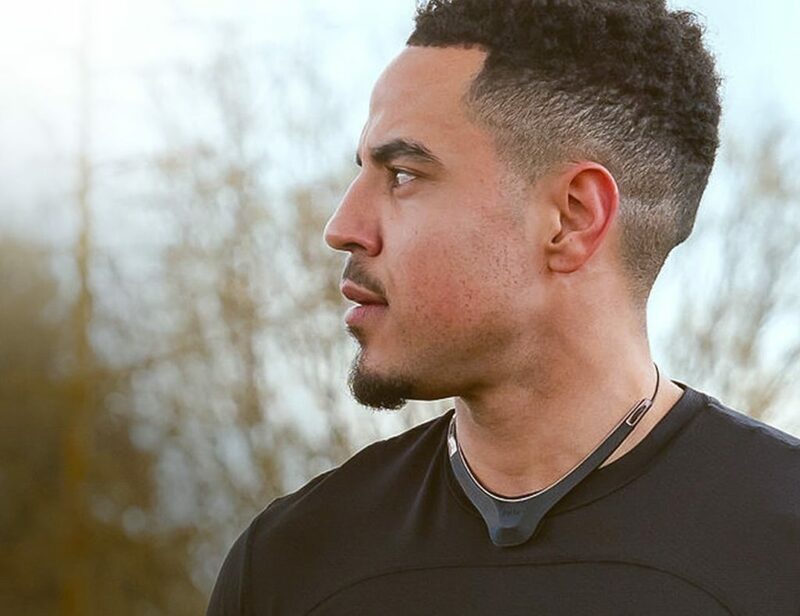 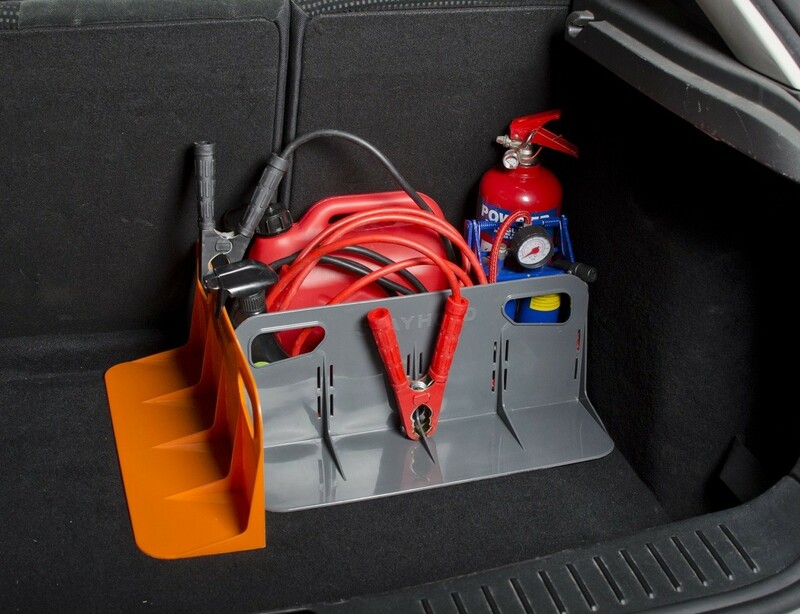 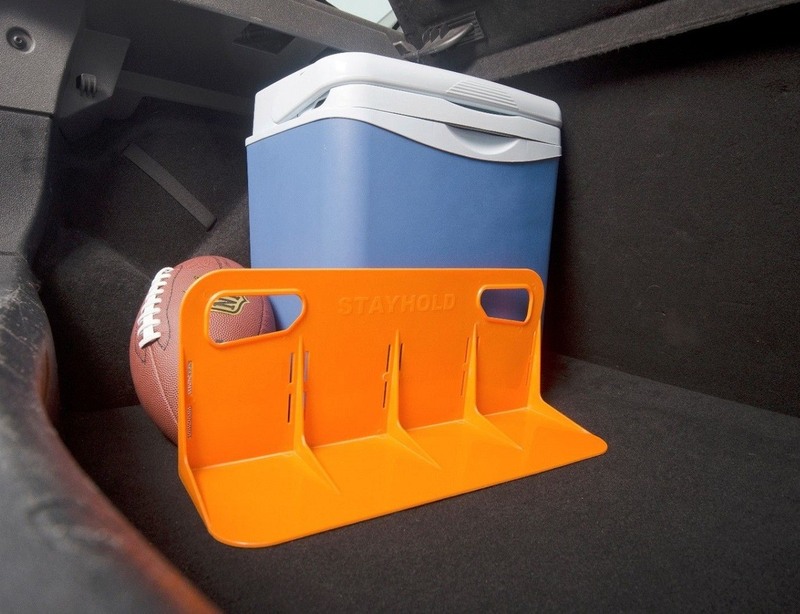 It is a solid plastic product that grips the carpet in your car and acts as a barrier to hold loose items securely against the side wall in your car trunk or boot. 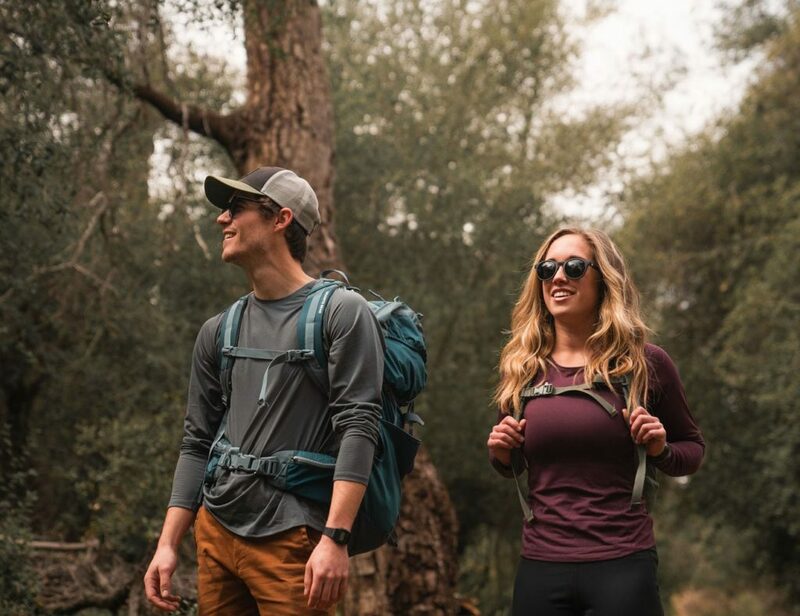 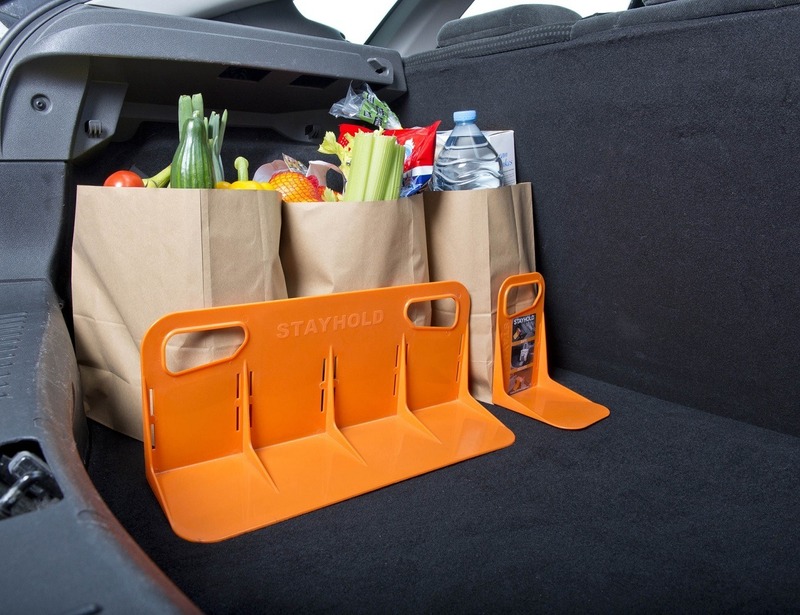 Great uses include stopping your groceries from rolling around, holding wine bottles, tins of paint, plant pots, sports equipment, suitcases and luggage, water bottles, tool boxes, cooler boxes, footballs, pushchairs, and many many other loose items you need to carry in your car. 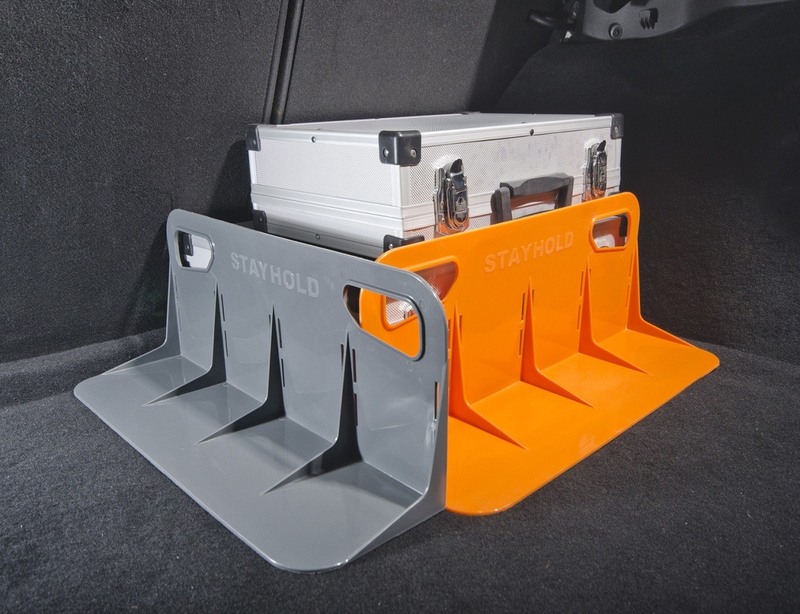 Once we experienced the peace of mind and security of using a STAYHOLD in the car we realised that it could really help other people too and bring them the same peace of mind that we now have when transporting stuff in the car.